Festival productions are hit and miss, and much more often than not, they are miss. I’m happy to report that Volleygirls, now playing at The Pershing Square Signature Center as part of The New York Musical Theater Festival, puts one in the “hit” column. Volleygirls tells the story of the Ladyhawks, a hapless high school girls volleyball team, and Kim Brindell, the former Olympic competitor who comes in to change their lives, and, in so doing, changes her own. It’s not the most original concept in the world — you can see the results of the tournament championship coming from a mile away — but the characters’ you-can-do-it attitude, the tuneful score by Eli Bolin and Sam Forman, and the spirited, talented cast go a long way toward making this show a winner. title of show‘s Susan Blackwell, one of the funniest women in theater, is delightful, if not quite as wacky as we know she’s capable of being, as Coach Brindell, and though her vocals aren’t quite on par with the rest of the cast, she provides a grounded center for the proceedings. The rest of the cast more than makes up for what Blackwell lacks in terms of vocal firepower, however, with Juliane Godfrey and Allison Strong both shining in their numbers, and Jennifer Johnson bringing down the house with a second-act solo. Each of the girls distinguishes herself nicely, with Gerianne Perez’ sassy Marisol and Julia Knitel’s meek Ingrid particular stand-outs. PJ Adzima, as dorky high school sportscaster Xavier, is also incredibly charming, and lends the show a lot of heart. Fully formed festival productions don’t come around too often, so when they do, you should make every effort to see them. This one gets a V-for-Victory from me. 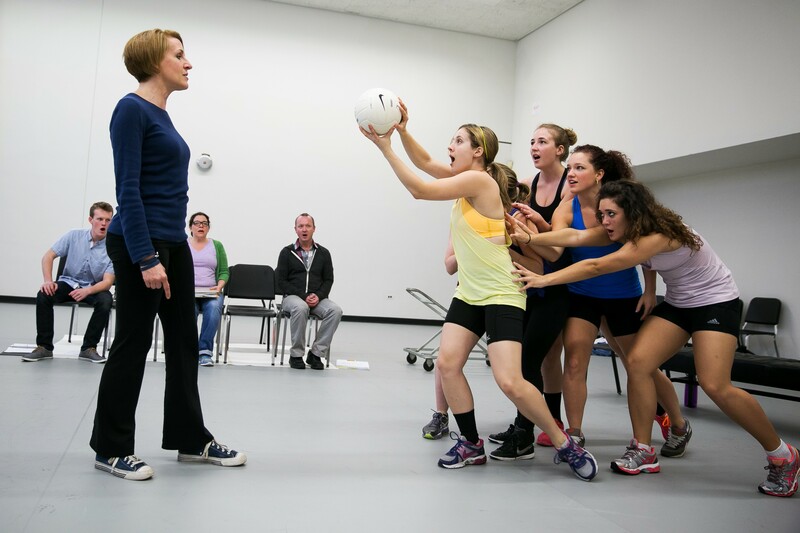 This entry was posted in Theater and tagged NYMF, Susan Blackwell, Volleygirls. Bookmark the permalink.